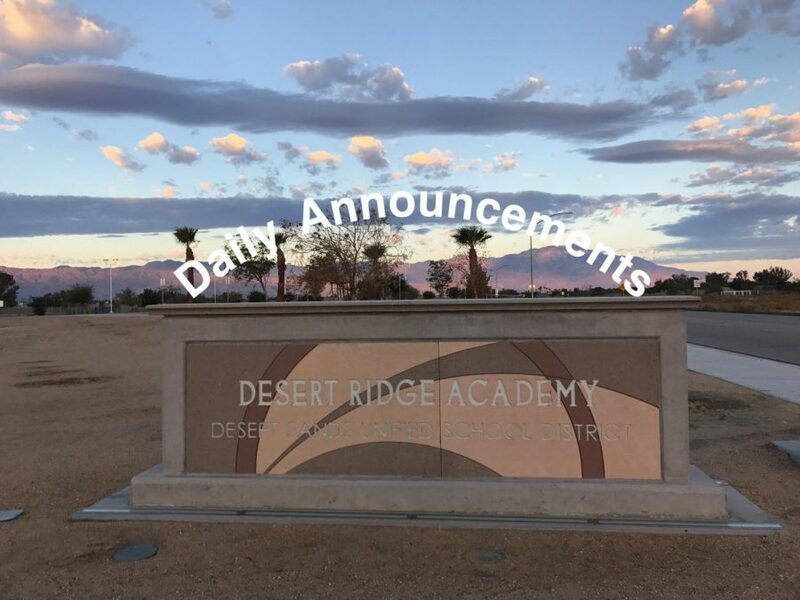 Good Morning Diamondbacks. Today is Monday, March 25, 2019……..
We will be conducting a lockdown drill on Wednesday. This Spring Fling DANCE is THIS Friday from 4-6 Get tickets at the student store during lunch! 8th graders you MUST have your Jr. Grad Bash trip PAID IN FULL by 4/10 See Mrs. Amidei in the morning or Delyzia at lunch to clear your balance and secure your spot for this amazing trip! Attention 6th & 7th graders: Are you interested in joining Mrs. Amidei’s leadership team next year? Please introduce yourself in room 615 and get an application for ASB, Renaissance or Yearbook. Congratulations again to Samiah and Mrs. Gleeson for earning awards from VFW Post 3699. It was great seeing many smiling Diamondbacks at the awards ceremony Saturday night!